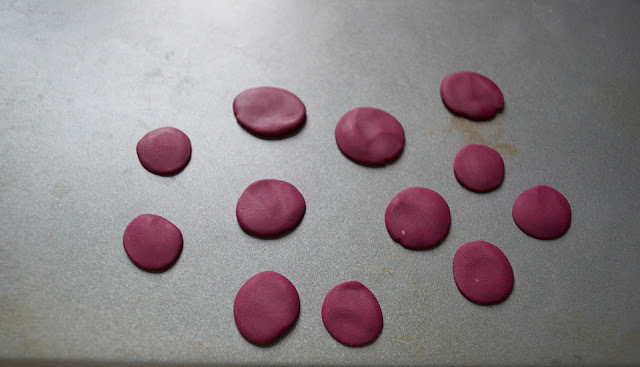 I tried out a new craft this week and I'm excited to share the results with you all! 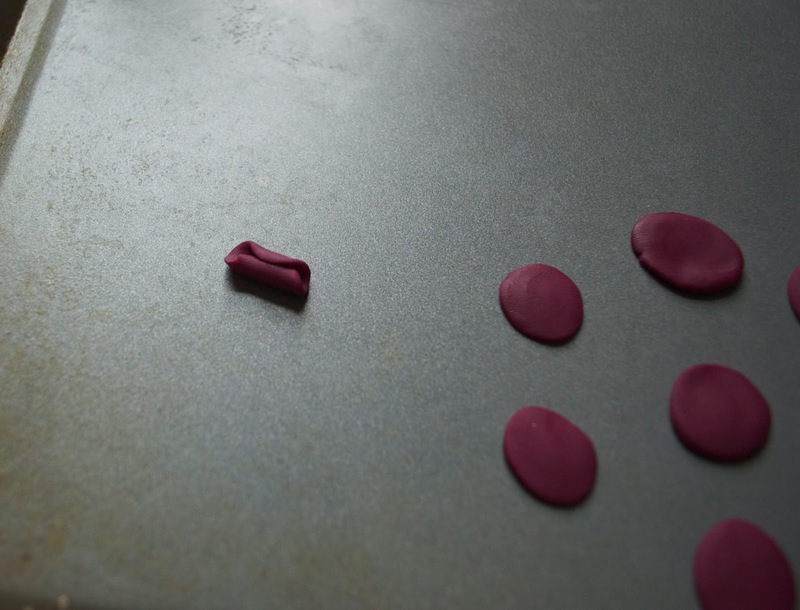 I recently had the opportunity to try crafting with some polymer clay from Sculpey, manufactured by Polyform Products. 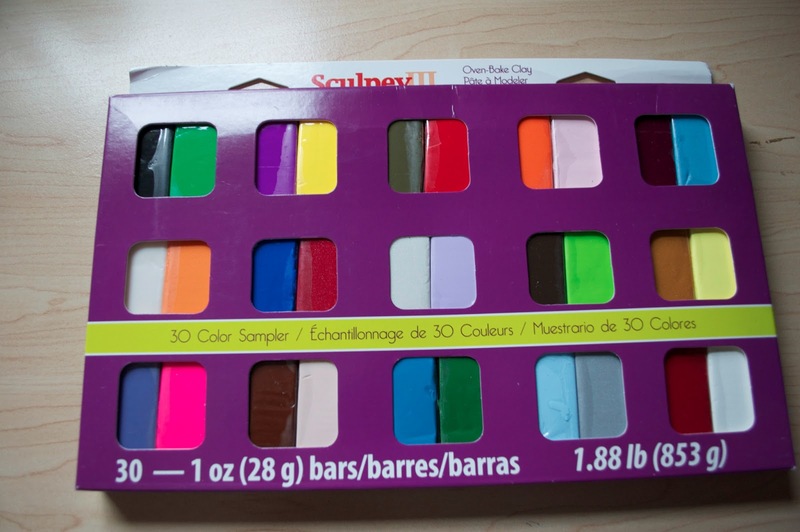 I have ALWAYS wanted to try out polymer clay. I've seen some cool jewelry made with polymer clay before and thought it would be a great way to broaden my horizons with my jewelry making skills! 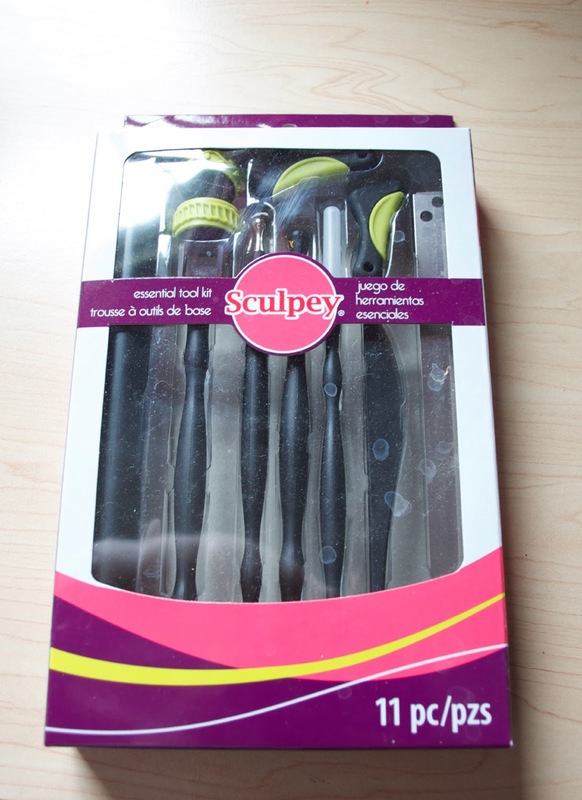 Sculpy makes a ton of different colors of polymer clay and various accessories, but for my project I just stuck to the basics and used one block of polymer clay and the razor blade from this accessory pack. I kept things simple with this first project. 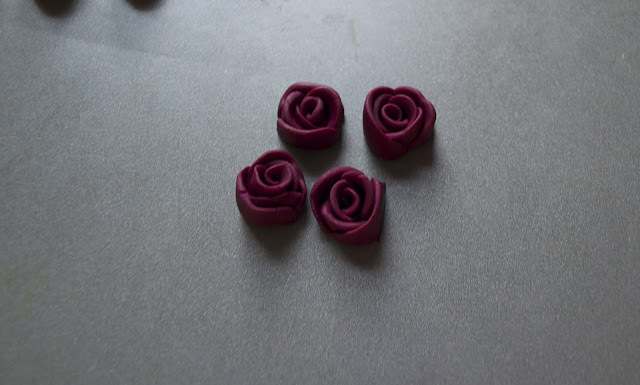 When playing around with the clay I remembered how I used to make little roses out of play dough as a kid. 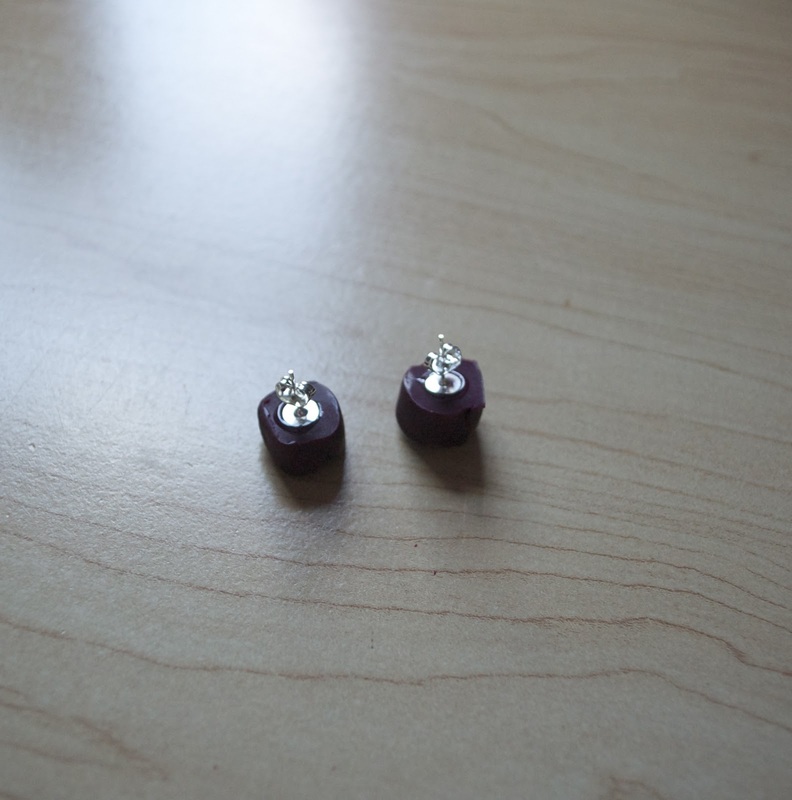 With flower stud earrings so in fashion these days, I thought I would try to make a more grown up version! Roll one of the pancakes into itself like a hotdog bun (I'm using a lot of food to describe this craft - hah! I'm not even hungry either. 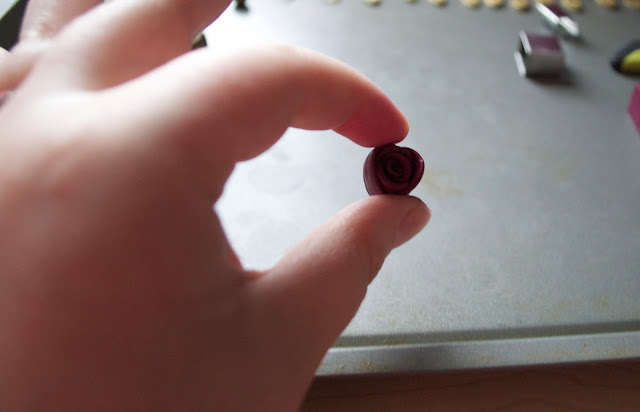 I just ate like 50 peanut butter M&Ms) to form the center of the rose. Then start wrapping the other little circles around the hotdog bun. Keep wrapping until you get a flower shape that you like! 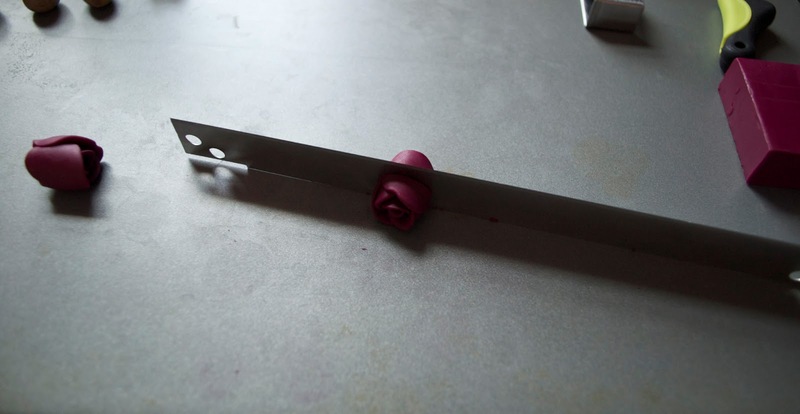 I originally made two flowers because I thought I would have one good and one bad side of the flower when I cut it - but turns out both sides of the flower looked good after cutting it! 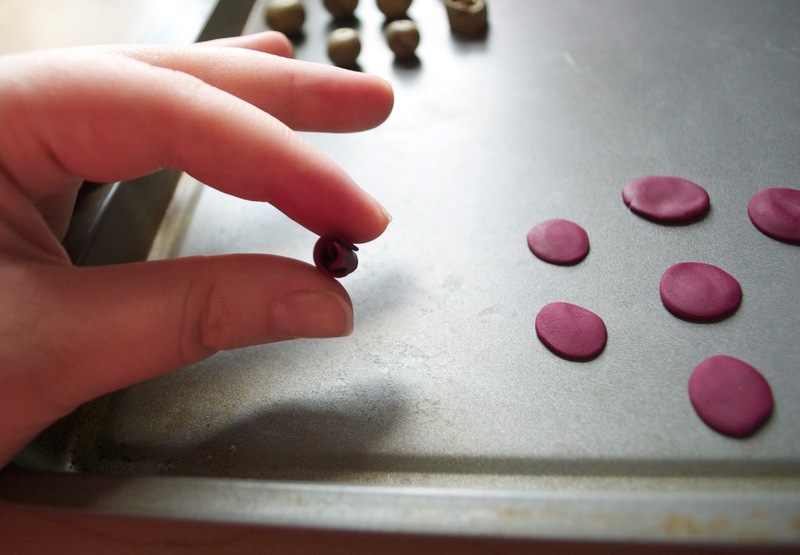 After your flowers are all made, bake them in the oven according to the package directions to set and harden the clay. After they are baked and cooled down, they are ready to be made into jewelry! 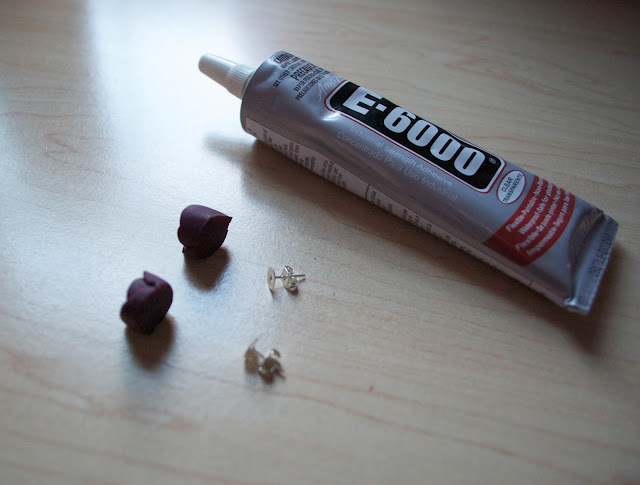 I attached mine onto a set of earring studs using E-600 glue. And voila! 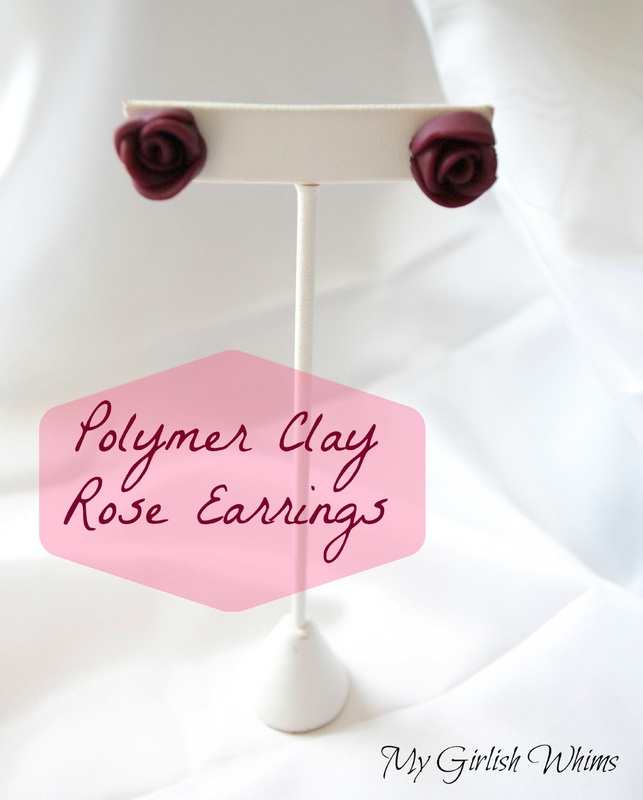 Your very own adorable set of rose earrings. These are totally an upgrade from the ones I used to make as a kid. I can actually wear them and look fashionable! However the concept was just as easy as I remember from when I was a kid. Gotta love crafts like that! Thanks for the tutorial! I might just give it a try. Saw such earrings in the market a couple of days back but somehow did not buy those. Since then I am reminded of the earrings everyday. 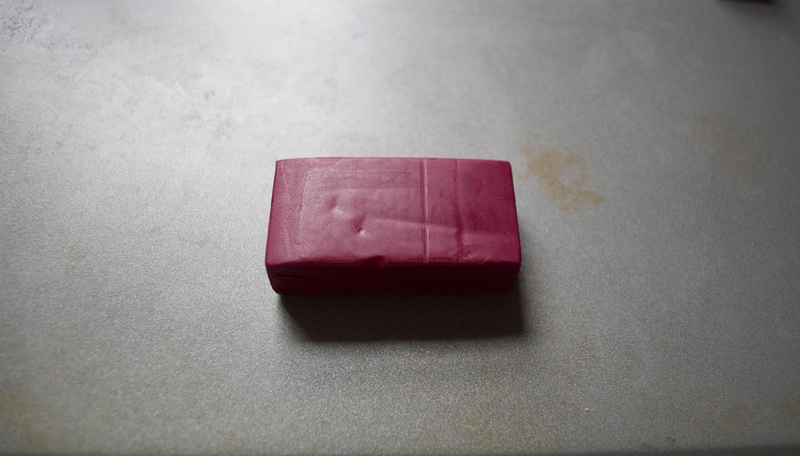 I guess it's time to make one! Cute! :) I just love polymer clay!